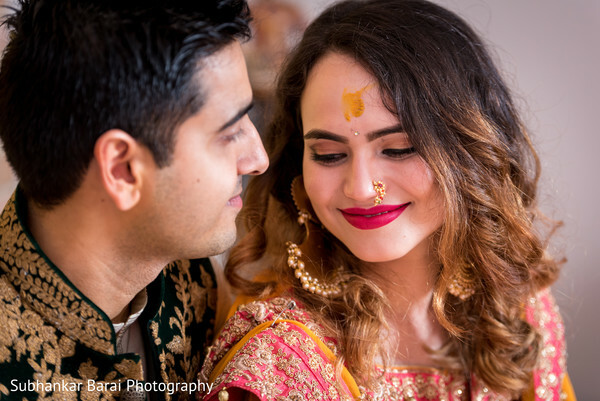 Today we celebrate an Indian wedding out of the good ol’ state of Virginia that is just brimming with cultural traditions, vibrant colors, and some gorgeous wedding lenghas. 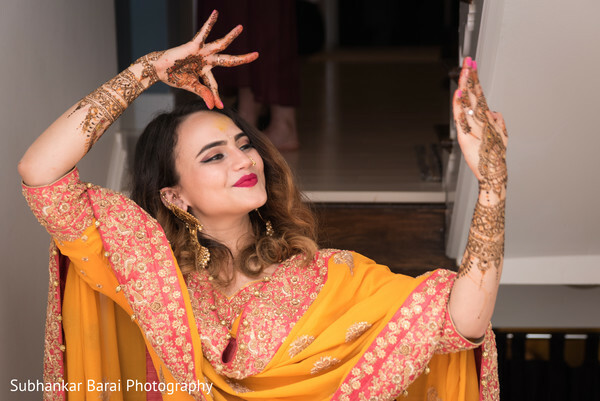 Maharani Natasha and Imran’s multi day ceremony started like most - a festive mehndi night. 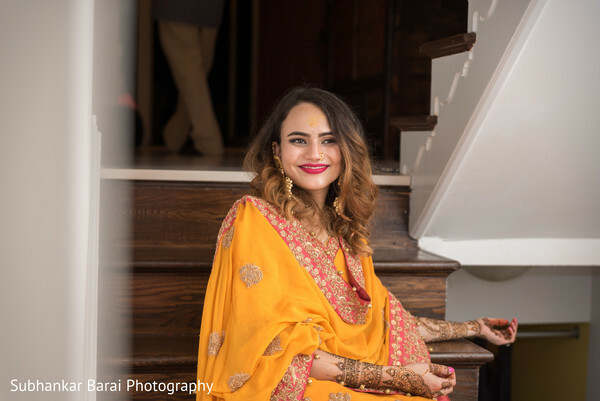 Natasha had two outfit changes for the night which is not uncommon on mehndi night. 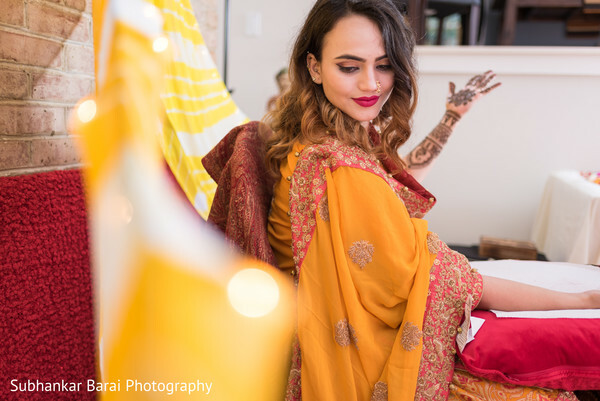 A maroon and gold raw silk sari from Mukhtar Sarees from Kolkata was the first outfit reveal. 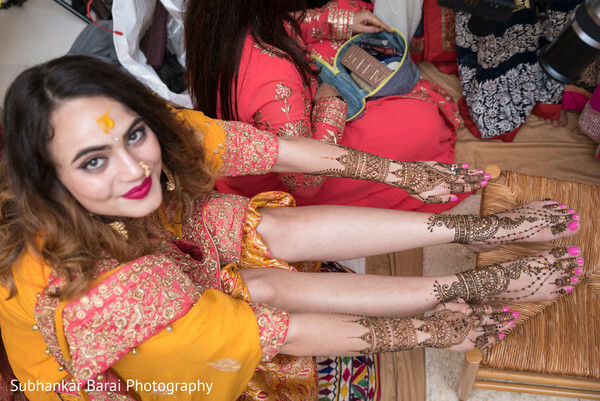 Sari’s are often worn during the mehndi ceremony. 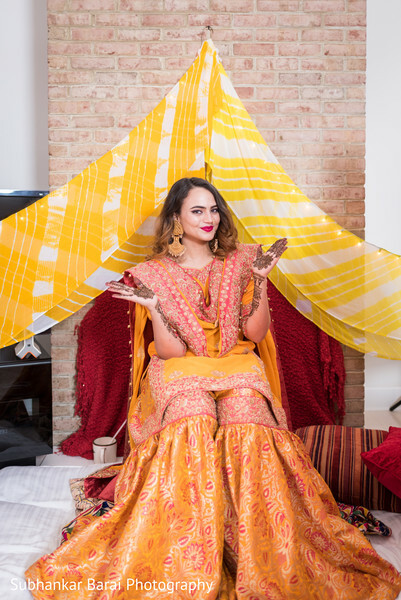 Natasha wore a sweeping mustard lengha that channeled both an anarkali and salwar kameez as she got her mehndi done. 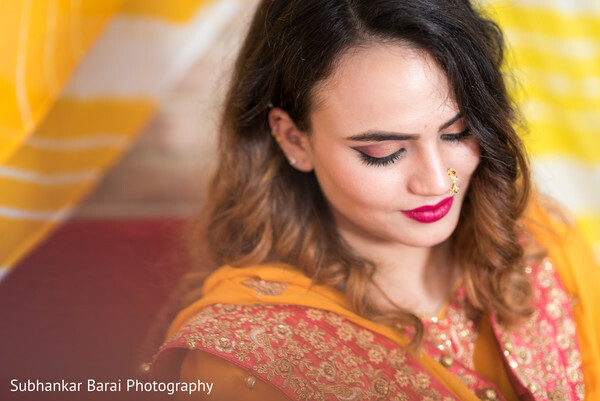 A pair of oversized, gold jhumkar earrings topped off this one of a kind ensemble. 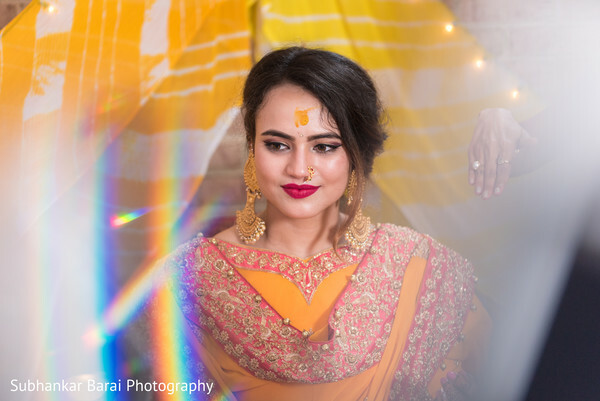 All the bridal jewelry of the night was from Purab Paschim by Ankit Khullar. 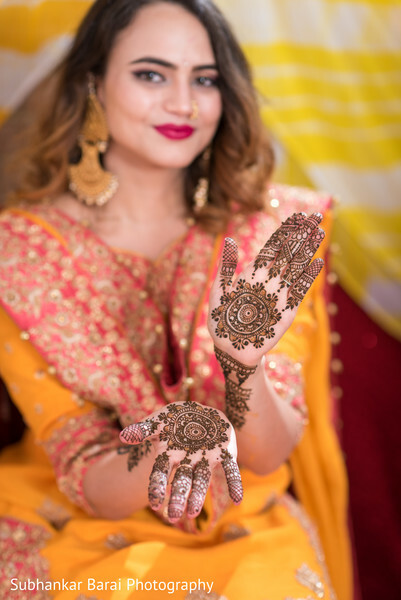 Heena Shah of Mehndi with Heena was the henna artist of the night and the bride opted for intricate motif designs with paisley inspired decor. 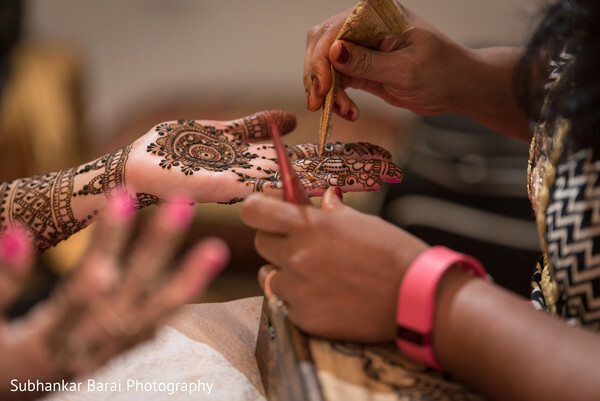 We have a sneak peek of events to come in the gallery captured by Subhankar Barai Photography. 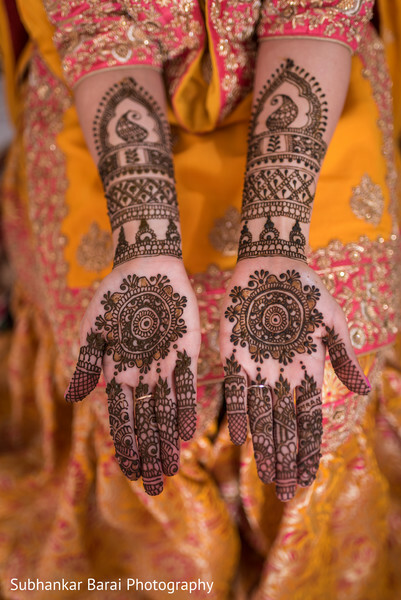 We return with the gorgeous sangeet and outdoor wedding coming right up! 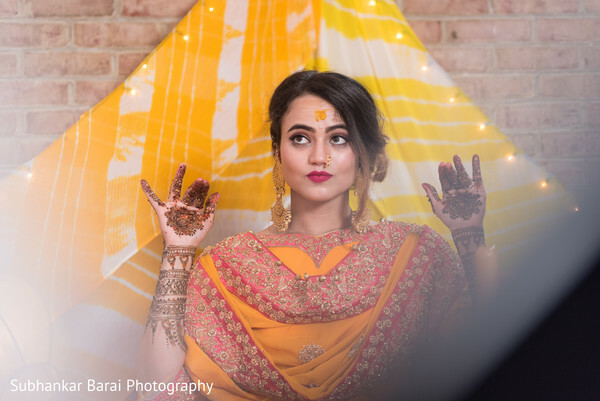 Subhankar Barai Photography is a member of the Platinum Guide. Love what you see? Explore their portfolios.